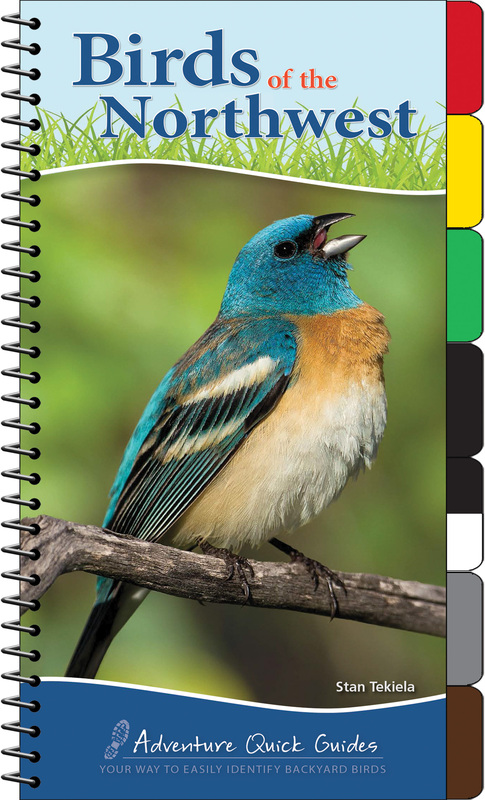 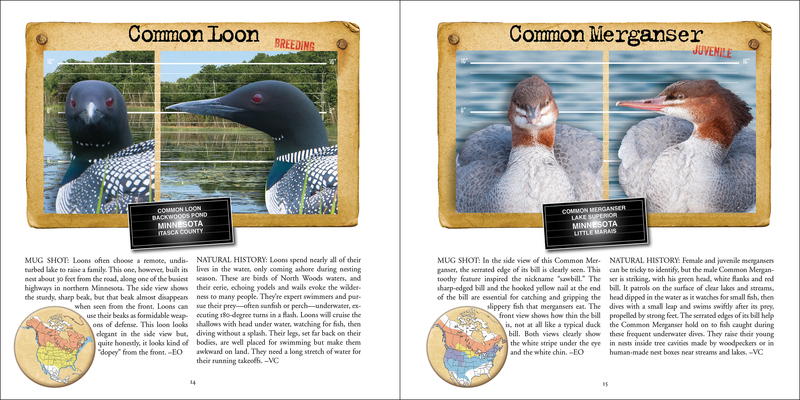 One hundred birds are highlighted in full-color front- and side-view photographs. 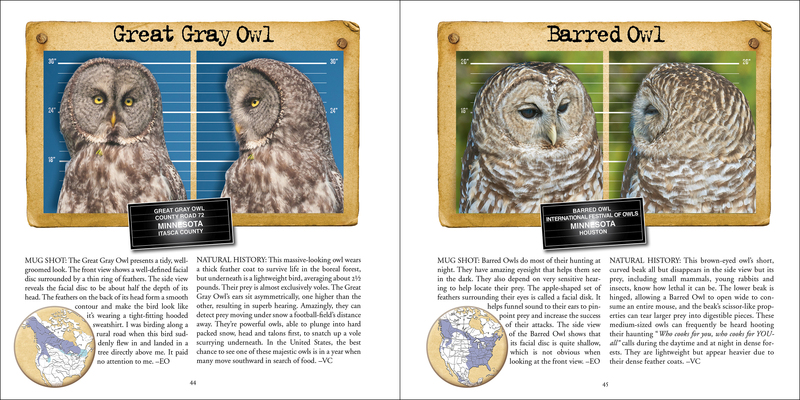 Bird Mug Shots reveals a whole new side to birds! 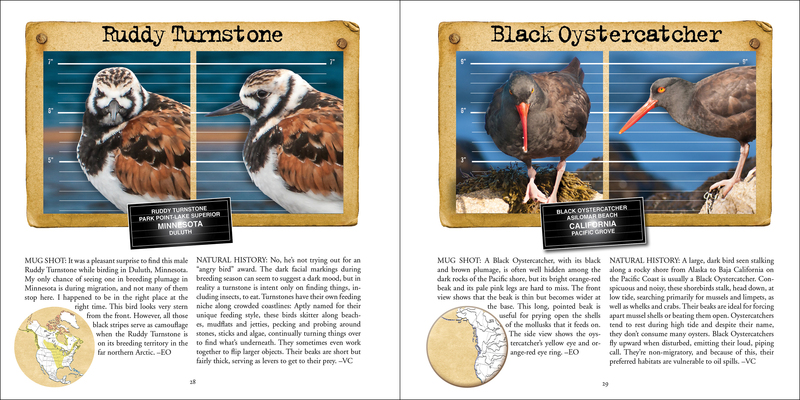 You’ve never really truly seen a bird until you’ve viewed it from both the normal side view… and from the “mug shot” front view. 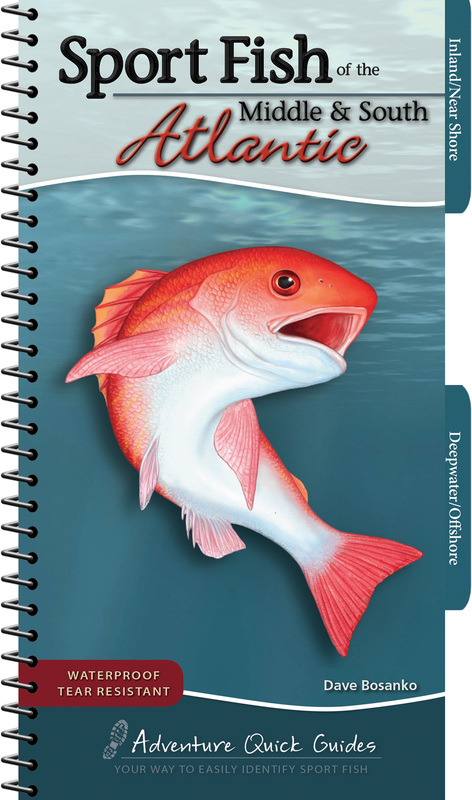 Some of photographer Earl Orf’s bird mug shots are hilarious, and some will have you saying, “Huh, I never knew they looked like that!” Val’s natural history text will keep you flipping the pages for more. 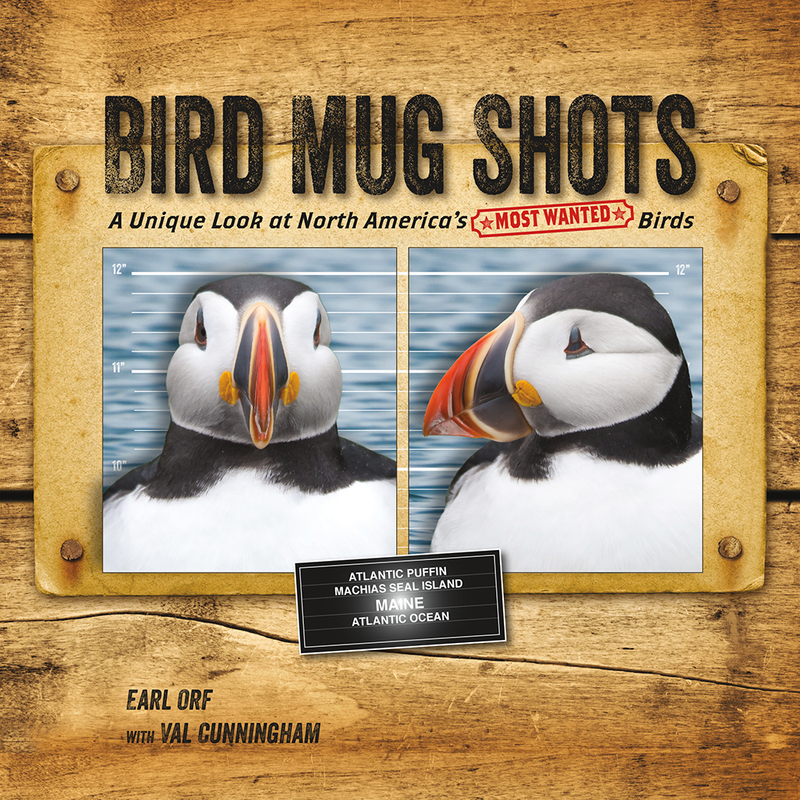 One hundred of North America’s “Most Wanted” (and most photogenic) birds are highlighted in full color in this ground-breaking book.